BHOPAL: Chief Minister Shivraj Singh Chouhan visited village Lodh of Mandsaur district today and consoled kin of those who died in police firing, recently. He met Mangilal, the father of deceased Satyanarayan. CM also expressed grief over the incident. 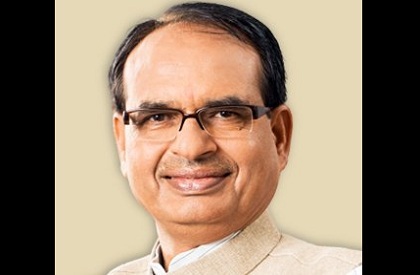 Chouhan told the bereaved family that the state government is standing with them. On being informed by Mangilal that their land has been placed on mortgage, CM Chouhan mentioned that they should not worry; their land will be cleared from mortgage. Moreover, he told Mangilal that government has sanctioned an amount of Rs. 1 crore as compensation and the amount will be deposited in the bank account. One member of the family will be given absorbed in a government job. Chouhan told Mangilal that he can call on him whenever he comes across with any difficulty. Also he today took stock of losses incurred by the business establishments in Suvasra due to farmers’ agitation during his tour of Mandsaur district and spoke to the traders. During his tour of Suvasra, CM also met the citizens. It may be noted here that about 27 business establishments were affected during the farmers’ agitation in Suvasra and incurred a loss of nearly Rs 1 crore 20 lakhs. The Chief Minister visited the shop of Sunil Dhanotiya. He had incurred a loss of nearly Rs 22 lakh in his shop due to the farmers’ agitation. Later Chouhan saw Rajmal Porwal’s shop that was damaged and he had incurred loss of Rs 4 lakh 74 thousand.